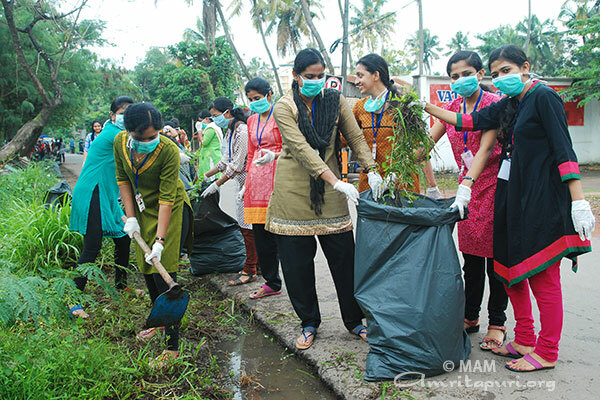 Over 2,500 participants which includes students from Amrita Viswa Vidyapeetham, doctors and employees of Amrita Institute of Medical Sciences, Brahmacharis, volunteers and followers of Mata Amritanandamayi Devi joined ‘Mission Kochi Amalabharatham’, as part of the national cleanliness campaign – Swacha Bharat – launched by the Prime Minister Narendra Modi. 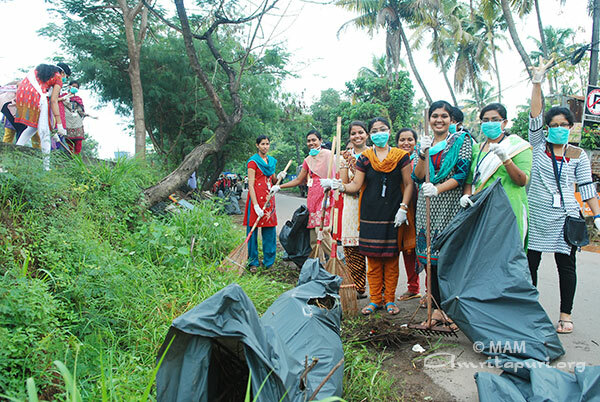 Mata Amritanandamayi Math has been in the fore front of public-paces cleaning initiative since 2010. 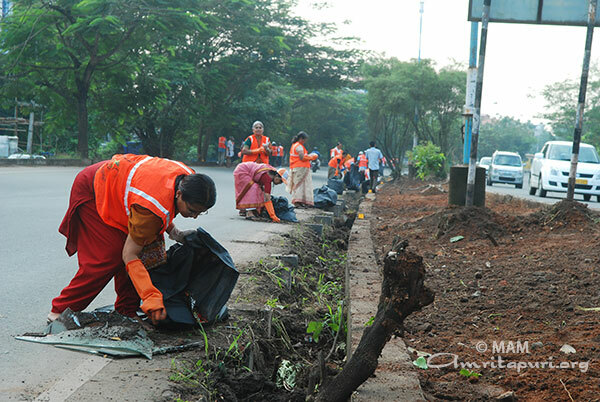 The volunteers cleaned an 11-kilometer stretch of road in the city from Amrita Hospital to Vaittila junction. 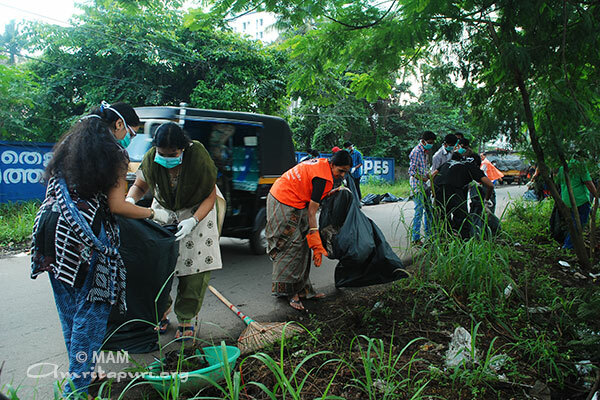 Garbage were collected and segregated as degradable and non-degradable for appropriate disposal. Earlier Swami Amritakripanandapuri formally inaugurated the drive. 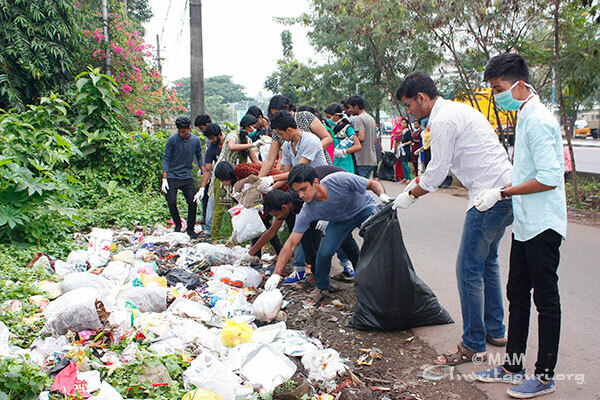 He exhorted the participants to take up cleanliness as a life-long vow. 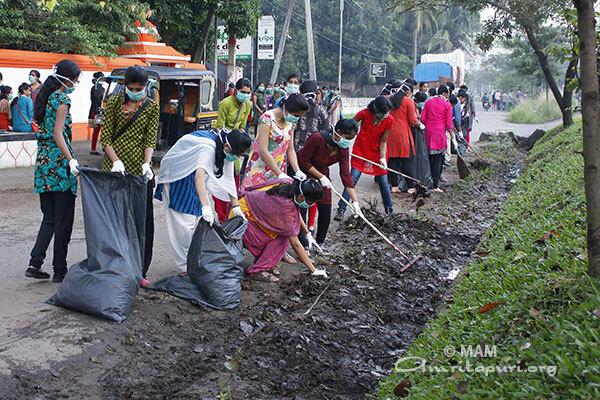 Kochi Mayor Toni Chammani hailed the efforts of Amrita volunteers in the cleanliness drive and said, Amala Bharatam campaign has received massive public support and if sustained, Kochi city would be a model for the entire state.